Perhaps you had a pet as a child or when your own children were younger, or maybe you’ve always wanted a pet, but worried you didn’t have enough time. Now, as you’re settling in to a fantastic retirement community in Central FL, is the perfect time to get an animal companion. Whether you prefer fins, feathers, or fur, having a pet isn’t only fun, but it can be surprisingly good for you, physically and mentally. Interaction with pets has been shown in a variety of studies to help lower blood pressure, cholesterol, stress, and heart rates. While they certainly can’t replace your medicine, they may still provide some health benefits. If nothing else, a dog will certainly guarantee that you get more physical exercise taking it for a walk and playing with it. Lake Ashton has fantastic walking trails that are ideal for walking a dog and a dog’s enthusiasm tends to encourage its owner to go that little bit further and walk that little bit longer. As well as helping with physical health, pets really can help raise your spirits if you’re feeling down. Once again, a pet might not be able to replace your medicine for anxiety or depression, but a cuddle, a laugh at some silly antics, or just even the adoration and affection that pets share often help reduce the intensity of sadness and other mental health issues. Even watching a beautiful fish swim provides you with something to focus on and help reduce stress and anxiety. As well as benefiting mental health, simply having a pet gives you purpose. You have schedules you have to follow in feeding, exercise, grooming, and play, and these daily duties help get you up and moving. You’re less likely to become a hermit, especially with a dog. One look at that sweet face that wants to go for a walk and you’ll have a hard time resisting. 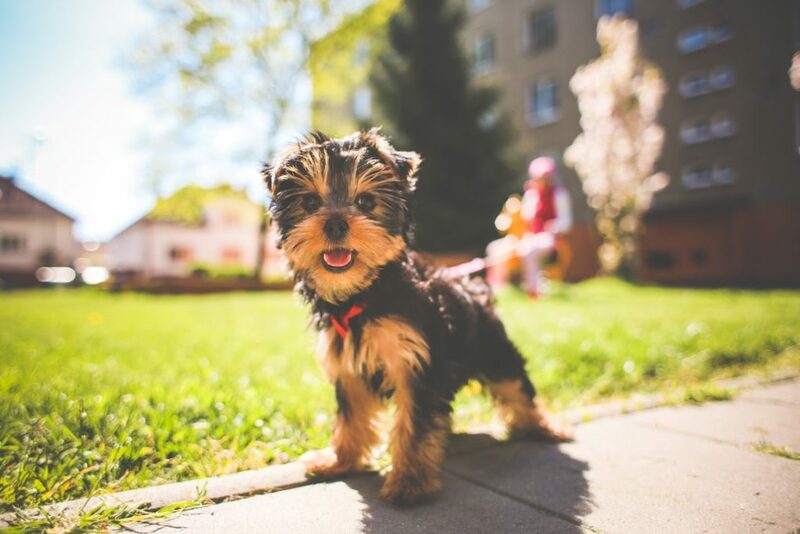 Plus, dog owners tend to get to know each other, particularly through Lake Ashton’s two pet parks, and if your pets get along, you can make new friends and new walking partners. Security isn’t really an issue when you live in a gated retirement community in Central FL like Lake Ashton, so you may not need a big security dog. However, no matter the size or the type of animal, pets provide companionship. If you live alone or even with your partner, pets become part of the family and are a constant source of conversation and entertainment. There are so many animals that make great pets, no matter your level of experience or time to devote to them. From guinea pigs to Great Danes, pets enhance your retirement in so many ways. You could even start volunteering at a local pet shelter if you want to adjust to the idea. You’ll probably soon find yourself coming home with a new best friend.